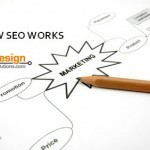 SEO Ultimate (the All In One SEO Plugin Created from SEO Design Solutions) has unleashed three new power-packed on page SEO features in the past 6 days. Just last week on 6/21/2011 we were ushering in version 6.0 but now, SEO Ultimate version 6.3 is now available for download from WordPress, the main SEO Ultimate landing page or through your WordPress plugin dashboard. 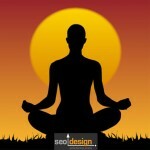 SEO Ultimate Version 6.3: On Page SEO Has Evolved! The latest updates unleashed in SEO Ultimate Version 6.3 represent another notch in the battle for WordPress SEO plugin supremacy. Each revision could be a stand-alone plugin within itself, but don’t take our word for it, allow me to elaborate on the latest stellar and revolutionary enhancements. First up, the plugin has been upgraded with a major revamp to Deeplink Juggernaut, the essential toolkit for automatic internal linkbuilding. When upgrading to SEO Ultimate 6.0 or later, you may notice that the “Destination Type” and “Destination” autolink fields have been replaced with a single “Destination” textbox. The simplicity of this design masks the under-the-hood functionality of this new interface. The new “Destination” textbox lets you type in a URL like before. However, it also lets you type in the first letters of the name of any object (e.g. post/page/category/tag) on your blog. Once you do, an autocomplete menu appears beneath the textbox with objects that match the letters you typed in. The autocomplete results (similar to Google Instant) are grouped by content type and are sorted alphabetically. Once the list appears, just click the item you want. You can also use your arrow keys to scroll through the list and press the Enter key to select. Once you do, the object you selected will fill up the “Destination” textbox. To remove the object from the textbox, just click the “X” button on the right side of the box. As an added bonus, not only does the autocomplete function search the titles of your posts and pages, but the content as well. This is perfect for building links to old posts whose titles you don’t exactly remember, or for building links to posts that contain a specific term. With this new system, you can use Deeplink Juggernaut to easily hone in on any object on your blog and build links to it with your desired anchor text and link options (nofollow, target blank, title attribute, etc.) Deeplink Juggernaut supports linking to posts, pages, attachments, custom post type items, categories, tags, post format archives, and custom taxonomy terms. Since these autolinks point to the objects themselves rather than static URLs, if you change the URL of an object on your blog, Deeplink Juggernaut’s autolinks will automatically adjust across your site. This revamp also fixes a few leftover bugs and issues with Deeplink Juggernaut, leaving you with a better-than-ever linkbuilding experience from the best WordPress autolinking system on the planet. In SEO Ultimate version 6.3 the newly added silo feature allows die-hard advanced SEO types with the ability to truly theme and silo their WordPress environment from the onset to prevent theme bleeding (linking outside of the category/subfolder). For example, since WordPress favors pages to posts and if you have a preferred landing page named the same as your posts cyclical page like domain.com/example is your landing page and your blog’s virtual settings are /%category%/%postname%/ in your blogs > permalinks > settings using the custom feature – then the page named “example” will overwrite your /example/ category page. What this means in layman’s terms, is your newly crafted preferred landing page (which is sure to convert higher than a cyclical page with 10 posts from the “example category”) can now serve as a beacon to consolidate ranking factor for that category. Hence, by you assigning a keyword to link within the “example” supporting article and category structure, you do not bleed internal links from those posts to other categories or landing pages outside of the “example” category. Think of this feature as a link delimiter or internal link governor that harnesses the most theme relevant content and then consolidates it “up the the primary landing page” without losing focus or being diffused from linking to every page in the site. This can potentially eliminate over optimization from internal links as well as allow you to “build it right the first time” by adding another layer of semantic siloing for topical content using this one simple feature. You can either limit posts to link to internal destinations that share at least one of two elements, a category or post tag or both. So, this way, only the target pages which are earmarked for the internal link get the juice. This feature is like unleashing another plugin within a plugin as hard coding this type of programming into your WordPress or CMS environment is a task worthy of WordPress core coding bragging rights. Now, you can implement this type of relevant internal linking in a few clicks and merely set-it and forget it when it comes to your website’s internal linking. 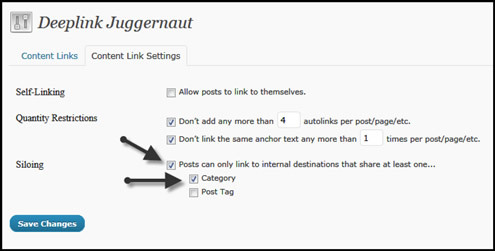 Control the maximum number of autolinks added to each post/page as well as the number of times an anchor is linked per page. Exclude specific posts/pages from having links added to them, if desired (e.g. contact pages, the homepage, etc.). Import/export your links as CSV files. Create links pointing to draft posts that will auto-enable when the post is published! Build internal links to your posts from within the WordPress post editor! Use “Instant Post Propulsion” technology to automatically link your old posts to new ones. But wait, there’s more… that was a feature just added to Version 6.3, but let’s not get ahead of ourselves and cover a few more tweaks from Version 6.1 and 6.2 (which occurred over a a three day code-frenzied blur from our lead developer Mr. John Mastermind Lamansky). The other added benefit of this module is for link-flow sculpting. say for example you have 100 links on the page and you only want 10 to appear as links that are followed by search engines, you can mask the other 90 with their own custom URL (like a bit.ly link) and perform your own URL rewriting and then decide where to send that click once a user engages it. For search engines, they will ignore this link (as the nofollow is applied) suggesting, this is for humans, and / or commerce, not to pass ranking factor. So, this module serves a vital dual feature for webmasters seeking to gain more control over their site architecture or where they link to monetize their traffic. What’s New in SEO Ultimate Version 6.3? In version 6.2 we covered the new tweaks to Deeplink Juggernaut above and for version 6.3, SEO Ultimate now features support the latest feature from Google in the fight against duplicate content – the support of Rel Canonical Http Headers. For those curious about the SEO Ultimate canonicalizer module and how it works. What it does: Canonicalizer improves on two WordPress features to minimize possible exact-content duplication penalties. The <link rel="canonical" /> tags setting improves on the canonical tags feature of WordPress 2.9 and above by encompassing much more of your site than just your posts and Pages.The nonexistent pagination redirect feature fills a gap in WordPress’s built-in canonicalization functionality: for example, if a URL request is made for page 6 of a category archive, and that category doesn’t have a page 6, then by default, depending on the context, WordPress will display a blank page, or it will display the content of the closest page number available, without issuing a 404 error or a 301 redirect (thus creating two or more identical webpages). This duplicate-content situation can happen when you, for example, remove many posts from a category, thus reducing the amount of pagination needed in the category’s archive. The Canonicalizer’s feature fixes that behavior by issuing 301 redirects to page 1 of the paginated section in question. Why it helps: These features will point Google to the correct URL for your homepage and each of your posts, Pages, categories, tags, date archives, and author archives. That way, if Google comes across an alternate URL by which one of those items can be accessed, it will be able to find the correct URL and won’t penalize you for having two identical pages on your site. How to use it: Just check both checkboxes and click Save Changes. 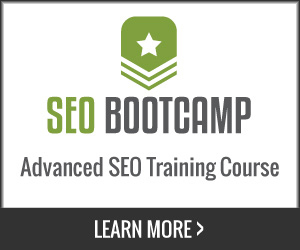 SEO Ultimate will do the rest. Now, just click the third checkbox send rel=”canonical” http headers and that is one less layer of duplicate content you will have to worry about when configuring your on page SEO settings. While this may be imitated but never duplicated, this WordPress SEO plugin is the real deal when it comes to unleashing the pure on page power of advanced SEO. If you’re already one of the thousands who use SEO Ultimate, you can upgrade for free via your WordPress plugin admin section. If you’re a new user who’d like to take advantage of this powerful free plugin, you can download it from WordPress.org today. The ability to toggle default navigation on or off (on a page by page basis). 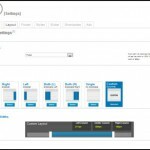 The ability to create custom navigation for categories, landing pages or posts. Optional breadcrumbs, as well as the ability to personalize the trail / anchor text. Multiple Theme / Skins to enhance visual appeal and aid conversions. A built in j-query slider with multiple features. to support banners or widgets for monetization. Font, Size and Typography controls. A logo management module (with optional widget area to support adsense or other ad networks). The ability to toggle between 1 column, 2 column design or 3 column pages ¾ slider ¼ ad layouts for pages or posts. The ability to toggle Permalink off or create override with H1 or H2 anchor text link on page or post level (to aid website silo architecture). Silo import module (to instantly create or import site architecture in seconds) instead of painstakingly building out your site page by page, category by category or by page or post. XML site architecture import features (to drip feed content, permalinks, categories, meta data and more). HTML 5 framework and code that validates via W3C Compliance. Thesis was cool, but things have evolved… Stay tuned for more updates and make sure to pass this along! 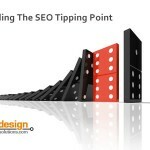 What is the SEO Tipping Point? 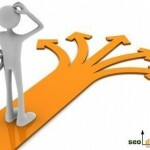 SEO = Equals The Power of Choice! Jeffrey_Smith Jeffrey_Smith SEO Ultimate Version 6.3 Unleashed: On Page SEO Has Evolved! Oh wow Jeffery! Partition deep links within the silo category, this is dynamite! 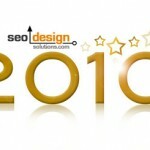 No doubt, for those who “get it” this is the feature of the year for SEO Ultimate. Nothing says, excuse me while I step over your rankings like internally linked theme relevant siloing with no wasted link-flow. My eyes nearly popped out when I read it! Everything else faded to dust. (Sorry Canonical headers, you’re so 5 mins ago). I’m trying to pick the right project to test all this stuff myself from scratch rather than trying to jury-rig my client “blog” sites. And what was I thinking about building blog architected sites for clients in the first place? It’s so bad! It’s no wonder Webmaster tools ranks “January, December, November” as the most significant keywords for some of them… I feel totally ashamed of myself. Keep bringing the A’HA moments Jeffery, thanks again. What about being able to add canonical links for a particular post to a URL for the same post on another site? For this functionality I currently have to use Canonical URL’s Plugin as I publish similar content posts on multiple sites. I´m sorry for the question but i´m still a little noob. 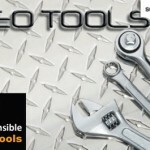 I´m using the popular all in one Seo plugin for my blog. Will I be somehow penalized if I install your plugin too? Or should I uninstall the all in one seo first? I am facing the same problem in my homepage of blog. It is showing “Fatal error: Maximum execution time of 30 seconds exceeded due to” Deeplink module of Seo Ultimate. 1. you can either roll back to another version if you have access. 2. if you can’t do it from control panel, try to change the plugin folders name in FTP and delete / or reinstall (if you are locked out). 3. You could also try going Deeplink Juggernaut’s Content Link Settings tab and uncheck “Enable per-link customization of quantity limits” and “Don’t link the same anchor text any more than __ times across my entire site.” Let me know whether that does it. My website uses a custom post type, almost exclusively. I have entered in anchor text and the link that I want it to go to, yet no links are showing on the site for the anchor text I specified. 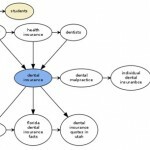 I’ve tried with multiple anchor texts and linking them to both internal pages and external. Nothing. ahh One more thing Have you considered a permalink redirect module? I can’t find it in this plugin. Sounds incredible! I wish I could afford this.